ProFC: Union Nation Cup 3 from October 30, 2009 in Rostov-on-Don, Russia. FighterA vs FighterB ProFC: Union Nation Cup 3 Fri, Oct 30, 2009 (5:06) FighterA vs FighterB at ProFC: Union Nation Cup 3 from October 30, 2009 in Rostov-on-Don, Russia. 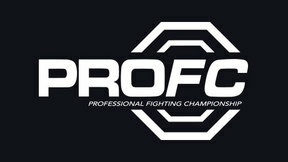 Anatoliy Pokrovsky vs Evgenii Chabanenko ProFC: Union Nation Cup 3 Fri, Oct 30, 2009 (3:26) Anatoliy Pokrovsky vs Evgenii Chabanenko at ProFC: Union Nation Cup 3 from October 30, 2009 in Rostov-on-Don, Russia. Iva Zagubinoga vs Shamil Zagirov ProFC: Union Nation Cup 3 Fri, Oct 30, 2009 (8:10) Iva Zagubinoga vs Shamil Zagirov at ProFC: Union Nation Cup 3 from October 30, 2009 in Rostov-on-Don, Russia. 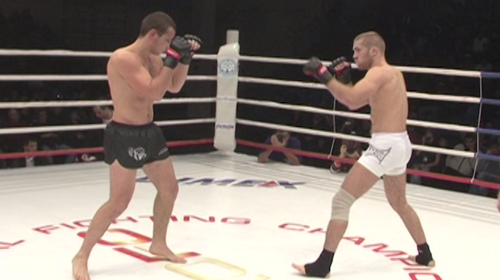 Shamil Nurmagomedov vs Georgiy Nikiforets ProFC: Union Nation Cup 3 Fri, Oct 30, 2009 (3:51) Shamil Nurmagomedov vs Georgiy Nikiforets at ProFC: Union Nation Cup 3 from October 30, 2009 in Rostov-on-Don, Russia. Deny Liadovyi vs Tarian Mizahov ProFC: Union Nation Cup 3 Fri, Oct 30, 2009 (6:58) Deny Liadovyi vs Tarian Mizahov at ProFC: Union Nation Cup 3 from October 30, 2009 in Rostov-on-Don, Russia. Yakub Dgamalodinov vs Oleg Kutepov ProFC: Union Nation Cup 3 Fri, Oct 30, 2009 (12:19) Yakub Dgamalodinov vs Oleg Kutepov at ProFC: Union Nation Cup 3 from October 30, 2009 in Rostov-on-Don, Russia. 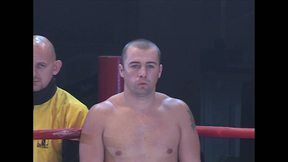 Alexander Sarnavskiy vs Vladimir Simonyan ProFC: Union Nation Cup 3 Fri, Oct 30, 2009 (2:06) Alexander Sarnavskiy vs Vladimir Simonyan at ProFC: Union Nation Cup 3 from October 30, 2009 in Rostov-on-Don, Russia. 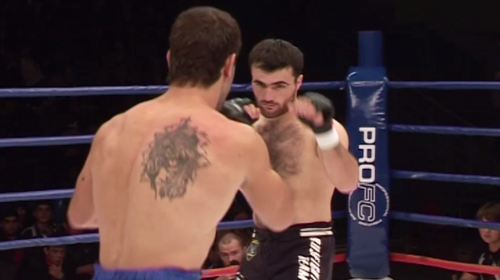 David Khachatryan vs Magomedrasul Khasbulaev ProFC: Union Nation Cup 3 Fri, Oct 30, 2009 (10:45) David Khachatryan vs Magomedrasul Khasbulaev at ProFC: Union Nation Cup 3 from October 30, 2009 in Rostov-on-Don, Russia. Murad Magomedov vs Movses Shaginyan ProFC: Union Nation Cup 3 Fri, Oct 30, 2009 (9:34) Murad Magomedov vs Movses Shaginyan at ProFC: Union Nation Cup 3 from October 30, 2009 in Rostov-on-Don, Russia. 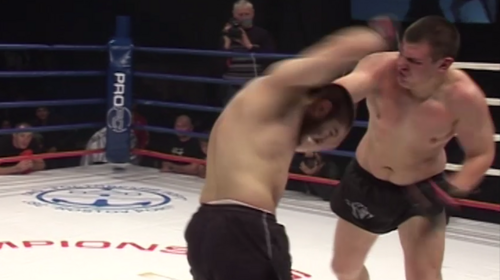 Saipudin Shahidov vs Pavel Sahakyan ProFC: Union Nation Cup 3 Fri, Oct 30, 2009 (3:40) Saipudin Shahidov vs Pavel Sahakyan at ProFC: Union Nation Cup 3 from October 30, 2009 in Rostov-on-Don, Russia. 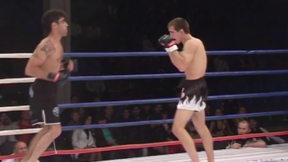 Alexander Volkov vs Smbat Zakaryan ProFC: Union Nation Cup 3 Fri, Oct 30, 2009 (6:51) Alexander Volkov vs Smbat Zakaryan at ProFC: Union Nation Cup 3 from October 30, 2009 in Rostov-on-Don, Russia. Beslan Isaev vs Ishkhan Zakharian ProFC: Union Nation Cup 3 Fri, Oct 30, 2009 (4:02) Beslan Isaev vs Ishkhan Zakharian at ProFC: Union Nation Cup 3 from October 30, 2009 in Rostov-on-Don, Russia.